TDP might have lost the support of a section of mega fans following the fell out of Pawan Kalyan with Chandrababu Naidu. 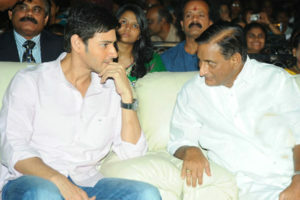 However, TDP has now got the support of Mahesh Babu’s fans. With the joining of Adi Seshagiri Rao into TDP and he extending complete support of all the fan groups of Ghattamaneni and Mahesh to TDP, Chandrababu is having a big smile. As already Mahesh Babu’s own brother-in-law Galla Jayadev is representing Guntur Lok Sabha constituency from TDP, now the addition of Mahesh’s uncle and Krishna’s brother Adi Seshagiri Rao is expected to give additional strength to TDP in Guntur and Krishna districts. Interestingly, Adi Seshagiri Rao reasoned that he has joined TDP to support progress, development of the new state. He appreciated Chandrababu Naidu for initiating pro-poor schemes including doubling of pensions. He wished that Chandrababu Naidu should become CM again in order to continue the development works and capital construction works.